If you haven’t seen it yet, there is a web site garnering support for reintroduction and passage of a bill that (with changes to bring it up to date) would allow continued payment of Coast Guard military active and reserve and civilian personnel, and contractors and death benefits. Its easy to become cynical about the political process, but adding your name in support of this action certainly could not hurt. Is this effecting retiree pay? Bill, Retirees will get a check end of Dec or early January but if until we have a budget or continuing resolution, that will be the last. The original 2015 “Pay our Coast Guard” bill did not include Retirees, but the web site includes a statement that they would like to have retirees added to the bill. Saw this on Vince Patton’s Facebook page. After sending out 141,015 letters to Congress asking them to Support paying our U.S. Coast Guard. We are proud to report that this evening, Senator John Thune along with Senator Roger Wicker, Senator Maria Cantwell, Senator Dan Sullivan, Senator Richard Blumenthal, Senator Doug Jones, U.S. Senator Susan Collins and Senator Brian Schatz introduced S 21 – The Pay Our Coast Guard Act. Please take less than a minute of your time to send a letter to your member of Congress asking them to Support S 21, and quickly bring it to the floor for a vote, so we can get it to the President before next week’s deadline to get pay generated for our Coast Guard on the 15th. This legislation doesn’t just support our men and women of the Active Duty and Reserves, but also our Retirees, Civilians, and Contractors. 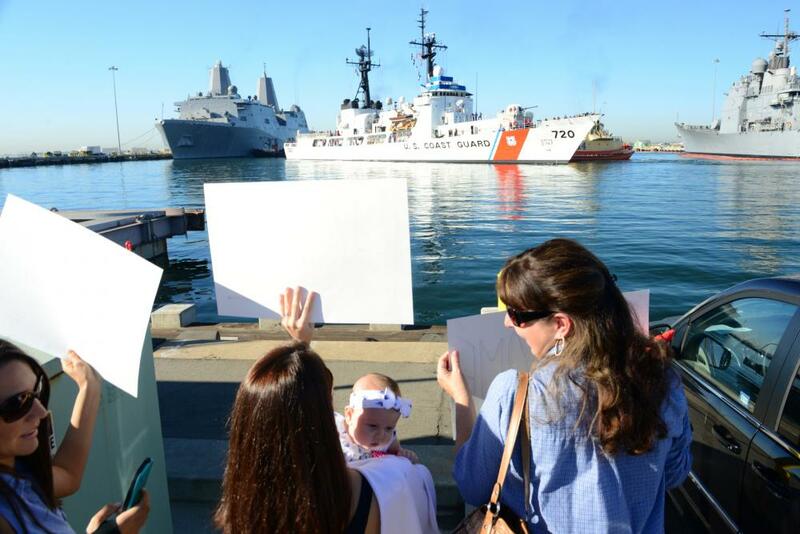 None of this would have been possible without our Coast Guard Families, Members and Supporters of the Coast Guard, and our Coalition Partners listed below. Pulled the following off Vince Patton’s Facebook page. We just wanted to give an update on S-21 to our members and followers. The legislation has been placed on the calendar for a vote this week in the Senate. We have meetings set up this afternoon to speak with the Sponsor of the companion bill in the House, who will help streamline this legislation to the floor for a vote once they receive it from the Senate. When we get more information on the House bill we will pass along the name of the sponsor and cosponsors, as well as update our Legislative Software to reflect the House Bill. Sea Service Family, Foundation, Coast Guard Chief Petty Officers Association (CPOA), Coast Guard Enlisted Association- National, Fleet Reserve Association National Headquarters, MCPOCG Vince Patton (and his fellow retired MCPOCG), and our 26 other VSOs, have been advocating for your best interest every step of the way. The goal is to get this to the President’s desk by this weekends deadline, to make payroll. We would advise that in the chance this legislation does not get passed in time, our Coasties take the precautions needed to get what they need to get by. Remember there are Chapters of our Organizations all over, and they have the resources to connect you with groups that can help. Even if you don’t qualify for help at Coast Guard Mutual Assistance, they can still point you in the direction to help you get relief. Things are looking good for this legislation to pass, but you should never fully rely on things like this, until they are in fact signed into law. We will keep you updated of any more news as we get it. Please send any questions you have to this post, and we will respond as quickly as possible. You know our country fought wars when its mariners were impressed into service.